CSKA Moscow's Russian international goalkeeper Igor Akinfeev extended his contract with the club for another four years, the Red Army side reported Wednesday. "Today, the club general manager Roman Babayan and Igor Akinfeev have signed a new contract," said the statement at CSKA official site. "Now Akifeev's contract with the red-blue side will be in force until the end of the 2021-22 season." The 32-year-old goalkeeper had joined CSKA at the age of four. He made his debut with the club's first team in 2003. Akinfeev, who is currently CSKA skipper, has played 571 matches for the club so far and has won 112 caps with Russia's national side, where he made his debut in 2004. 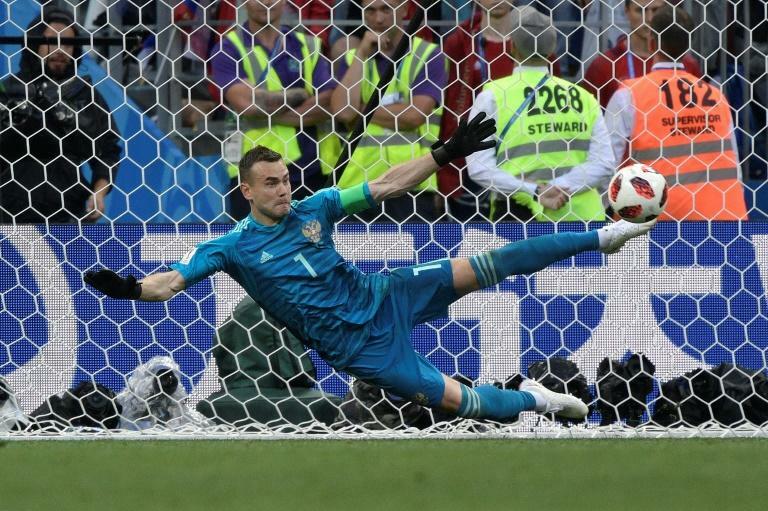 In the World Cup, which Russia hosted this summer, Akinfeev played every minute as hosts reached the last eight. The goalkeeper, who won the UEFA Cup in 2005, has also claimed six Russian titles and six cups with CSKA.